We decided to hire a painter to paint the walls going up the stairs and then down the hallway upstairs, but I (and by I, I mean myself and my mommy) am painting everything else that needs to be painted in order to get this house ready to sell…which includes all three bathrooms and maybe the kitchen. Those of you who have been in my house in the past 10 years will remember the little yellow bathroom. Well, it’s yellow no more. The paper has been removed, the walls smoothed with new drywall in places. And it’s primed. It will look like a totally different little bathroom soon! heck, it already looks soooo much better with just the white primed walls! I really hope to have that bathroom finished tomorrow night. Then I’ll post a before and after photo! Anyway, here’s what I bought at Lowe’s yesterday. 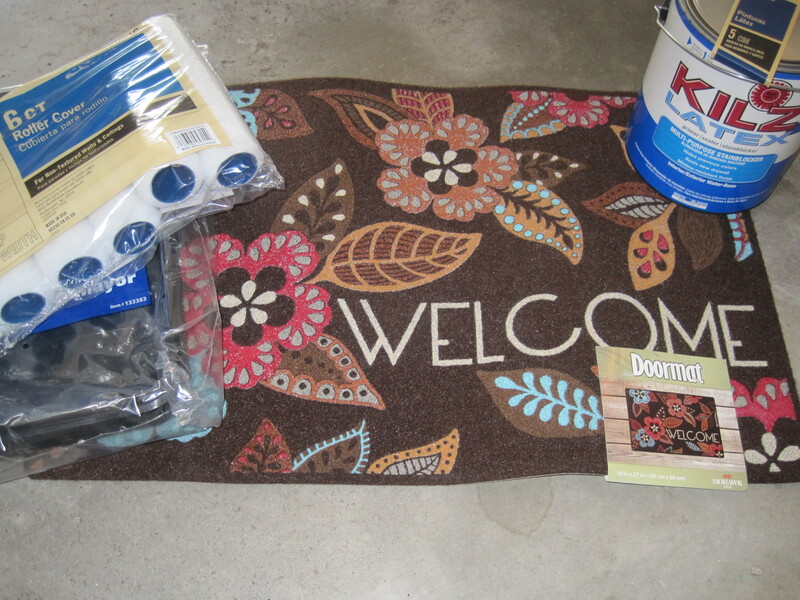 Kilz for the bathrooms…a new little angled paint brush for cutting in around trim and such…paint tray liners…paint roller covers…and a lovely little welcome mat for the front door for when this house is finally ready to show/sell. My Daddy has the appointment tomorrow afternoon to get the results from the PET scan and the bone marrow biopsy that were done last week. I’m totally praying that there is no Lymphoma, it was all a mistake!